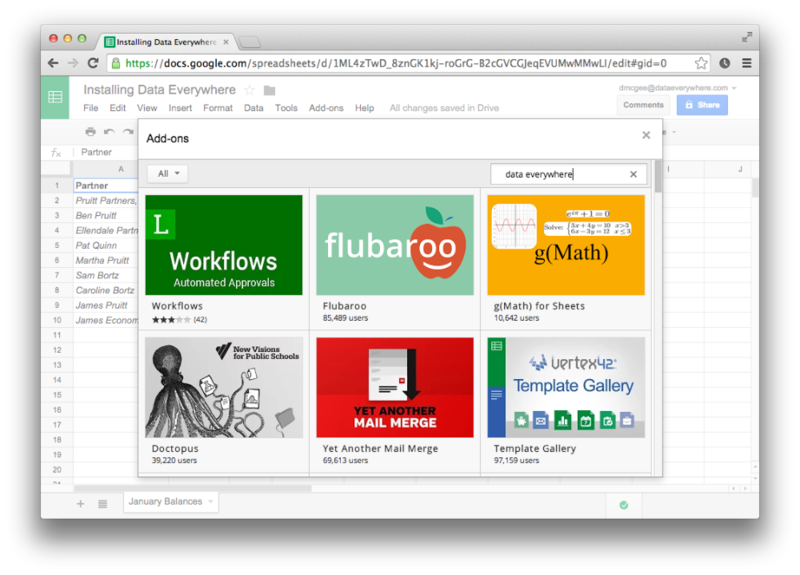 Installing the Google Sheets Add-on is simple. Once installed, it will be available in all of your Sheets documents. To get started quickly, navigate to the Data Everywhere Add-On Store page (the add-on is free) and install from there. 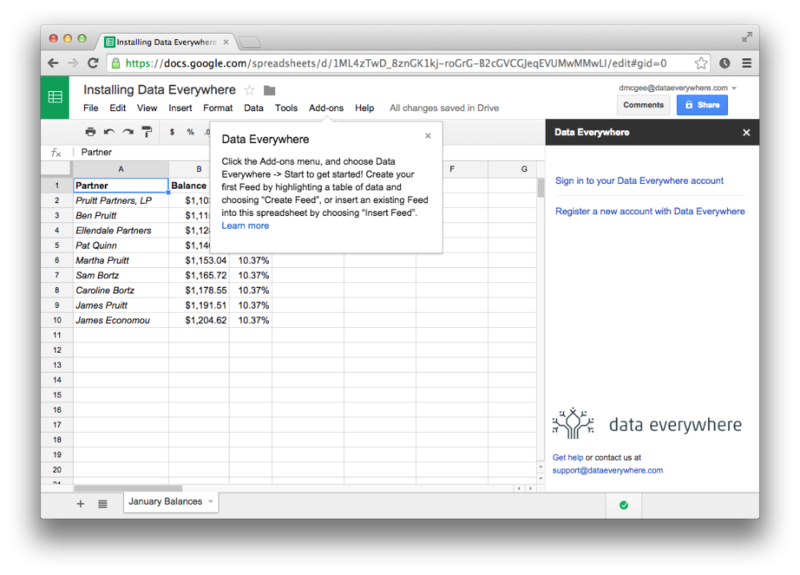 In your Google Sheets spreadsheet, click the "Add-ons" menu, then click "Get add-ons..."
In the search bar in the upper-right, search for "Data Everywhere" and hit the Enter key. When Data Everywhere appears, click the "+ Free" button to install the add-on. The Data Everywhere Add-on is now installed. Follow the steps shown to begin using it. You will be able to register a new account if necessary, or you can use your existing account. If you have more questions or run into any trouble, please contact Data Everywhere support so we can help. 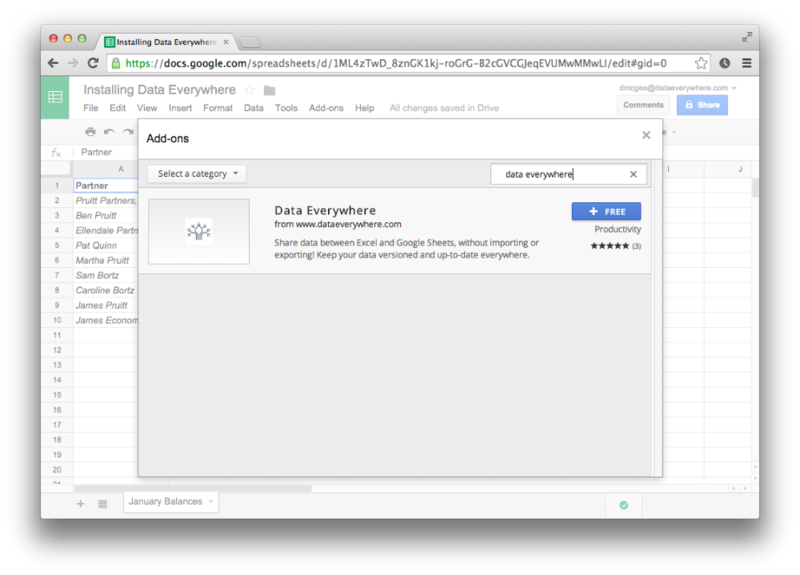 Data Everywhere is only compatible with the new Google Sheets, which has been the default since March 2014. 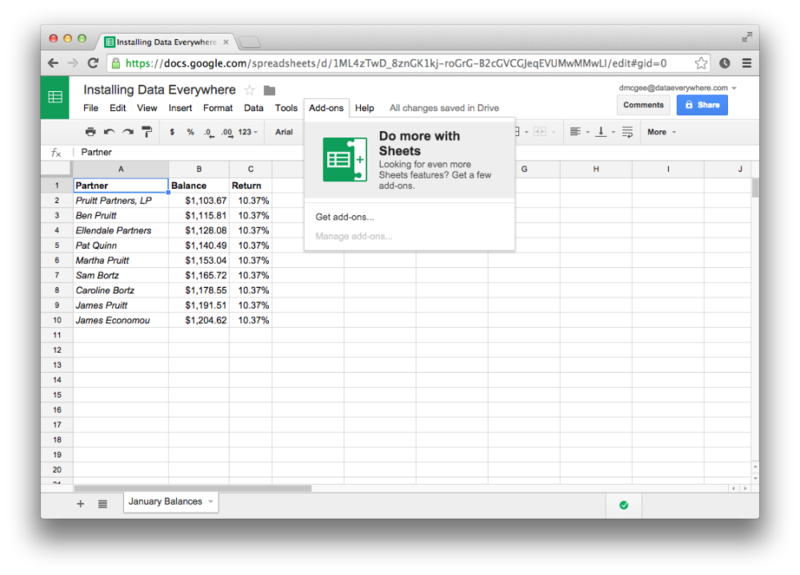 Old spreadsheets can be moved to the new version of Google Sheets if desired. Please contact us if this is a problem.